Microgreens are a brilliant concept. Having swept the scene of upscale restaurants and finer cuisine in recent years, the idea is now hitting creative kitchens everywhere. You might be hard pressed to find an easier way to naturally produce a more tasteful and nutritional addition to your diet. Harvested less than two weeks after germinating, these young vegetable and herb plants are cut in order to consume just the stems and leaves. They have been shown in studies to contain as much as 40 times the nutritional benefits of their mature fruit or leaves. 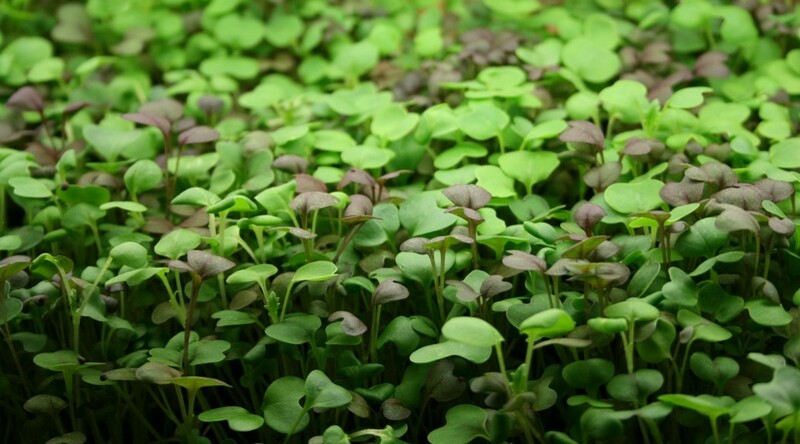 Studies have proven that microgreens are a wonderful source of Vitamins C, E and K and some are loaded with beta-carotene. This equates to the nutrition in a small helping of microgreens exceeding that consumed in multiple portions of salad. Easy, inexpensive and abundant, there is no better time to become proficient in producing your own organic greens no matter where you live. Prices are rising, weather for growing is undependable and sources of food are often questionable. There is an immense satisfaction in producing something so healthy on your own windowsill. I encourage everyone to give it a try. There are hundreds of good websites and videos out there with instructions on the many ways to go about growing your own at home. Everyone seems to have a slightly different method and makes use of various supplies, so there is no one right way to go about this. Here is a video that shows and explains an easy method to grow your own. The recipes that use microgreens are endless. They can be used as salad greens, on sandwiches, in or atop omelets, on pizzas, in salsas, topped with seafood, and the list goes on. Yummly's recipes for microgreens can be found here along with delicious pictures. More recipes and serving suggestions can be found at the bottom of the page.